Cheers, to the happy couple (and the even happier, cocktail-drinking guests). The happy couple is, obviously, the star of an engagement party. But cocktails come in at a close second. 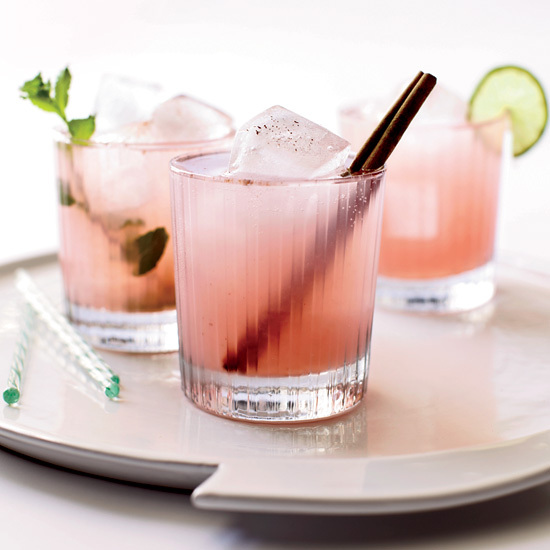 Wow guests and toast the beginning of a beautiful marriage with these gorgeous cocktails. 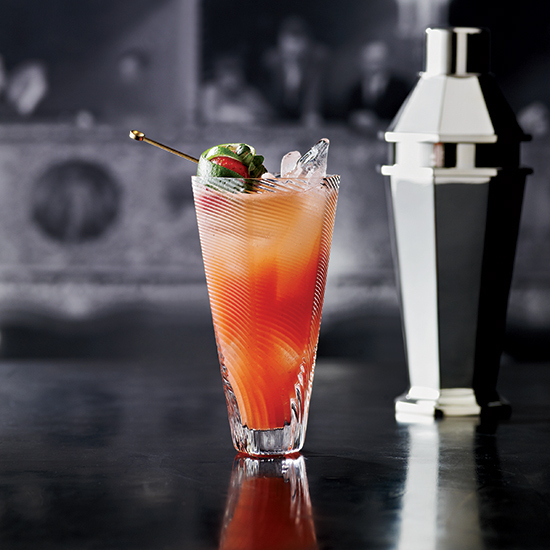 Rhum agricole’s grassy flavor is delicious in this tropic cocktail. 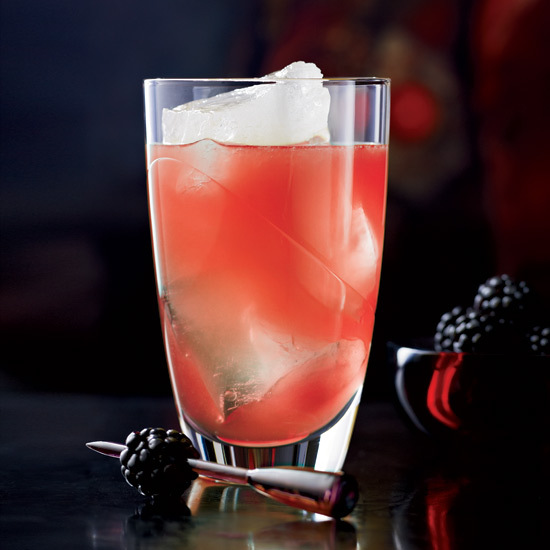 Fresh black plums give this cocktail its striking color. 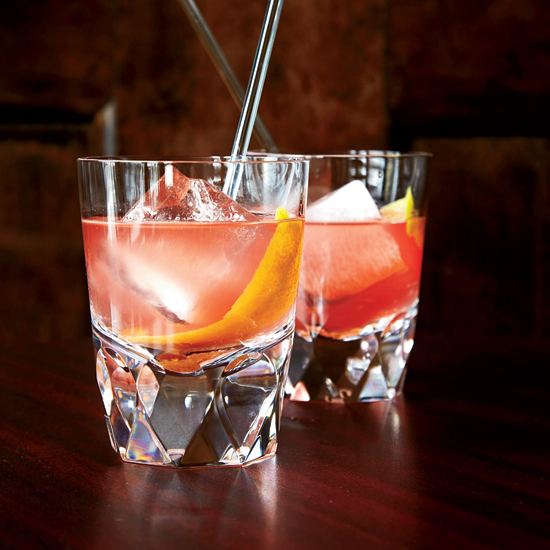 This variation on an old-fashioned swaps out gin for whiskey. 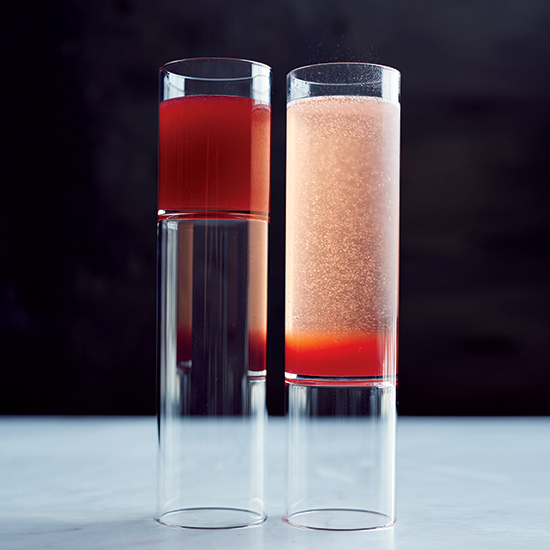 A splash of Campari adds bitterness and a rosy color. 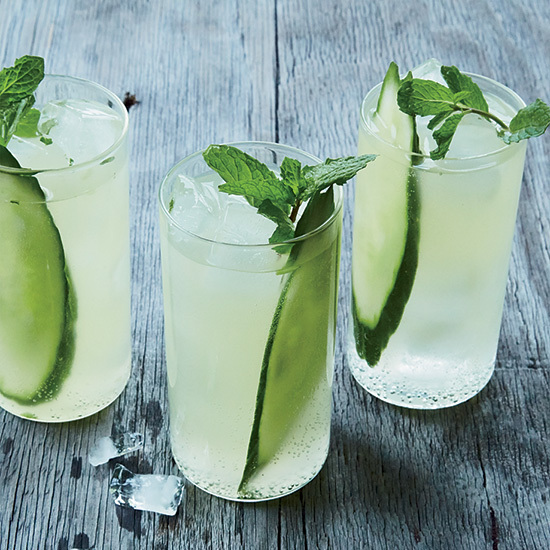 You can make this Asian-style gimlet in a large pitcher for easy entertaining. 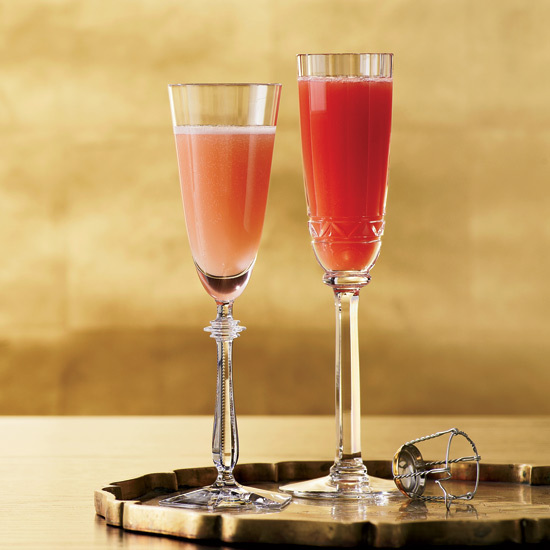 This drink has the characteristic rich pink hue and sweet-tart flavors of a classic Bramble (gin, blackberries and lemon juice); the complex French gentian aperitif Suze gives it a bitter edge. 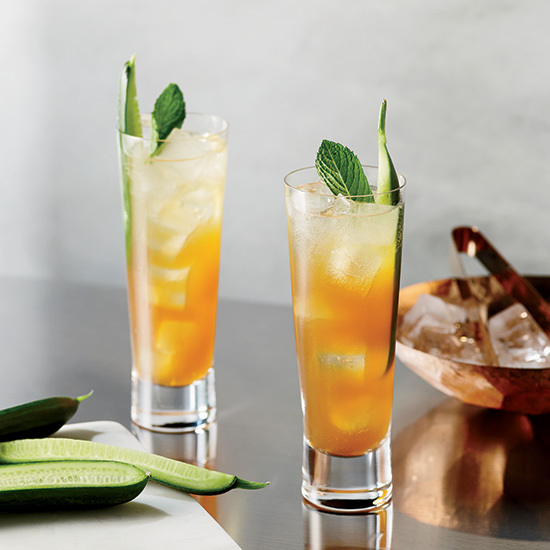 This spicy take on a Pimm’s Cup gets terrific heat from a dash of cayenne extract and a warming ginger syrup. 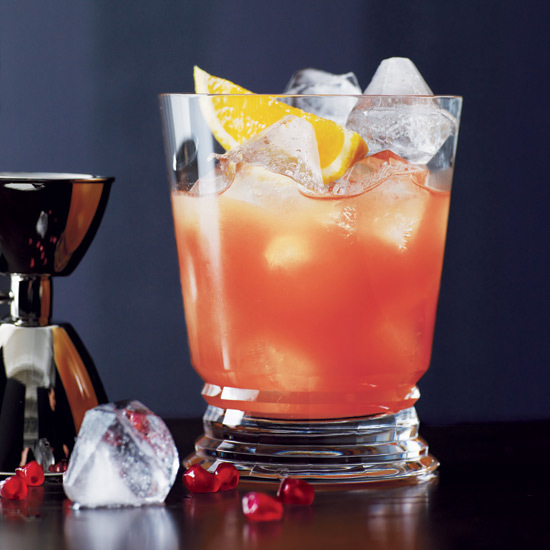 The perfect pitcher drink for spring, this cocktail is made with fresh strawberries, tequila and rhubarb bitters. 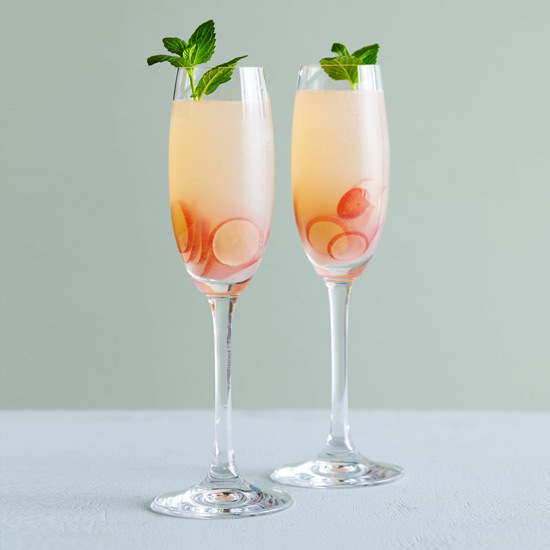 This delightfully fizzy cocktail pairs just-pressed grape juice with dry sparkling wine to keep it from tasting too sweet. 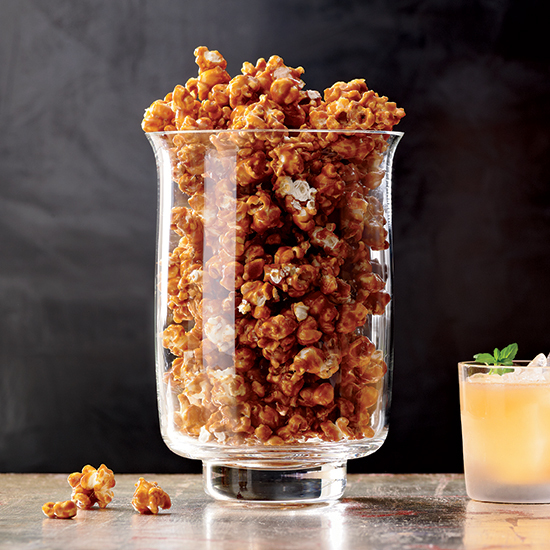 Don’t be afraid of the crème de cacao in this cocktail. It adds a sweet richness. 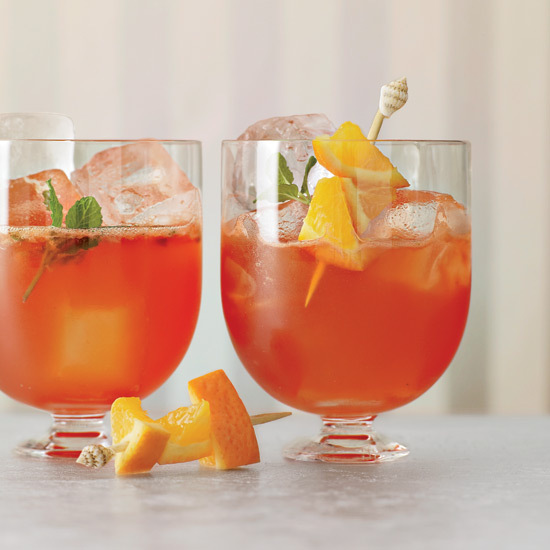 This pleasantly bitter and refreshing concoction pairs Aperol with rye whiskey.